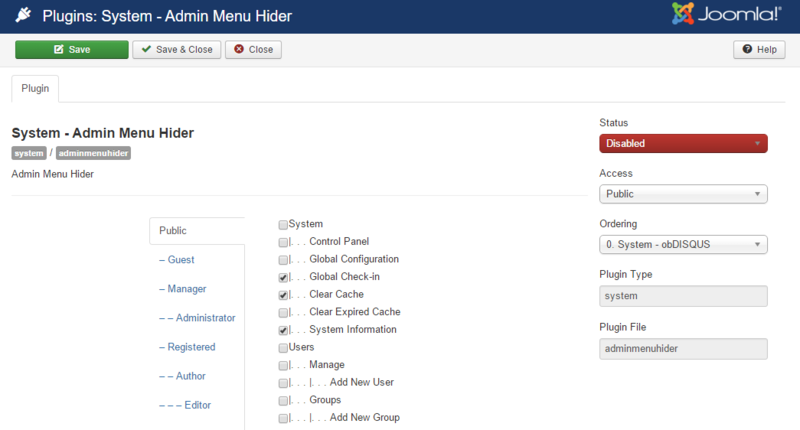 This plugin helps you hide admin menu and admin bar items in Joomla back-end simply by selecting the check-boxes corresponding to said menu items and click "Save". Your clients & users will only be authorized to access to a simplified menu where you can hide important menu items like settings page, account detail page, etc. This plugin also has very simple interface for you to understand and use in some minutes!.